Am I the worse food blogger there is? Probably. 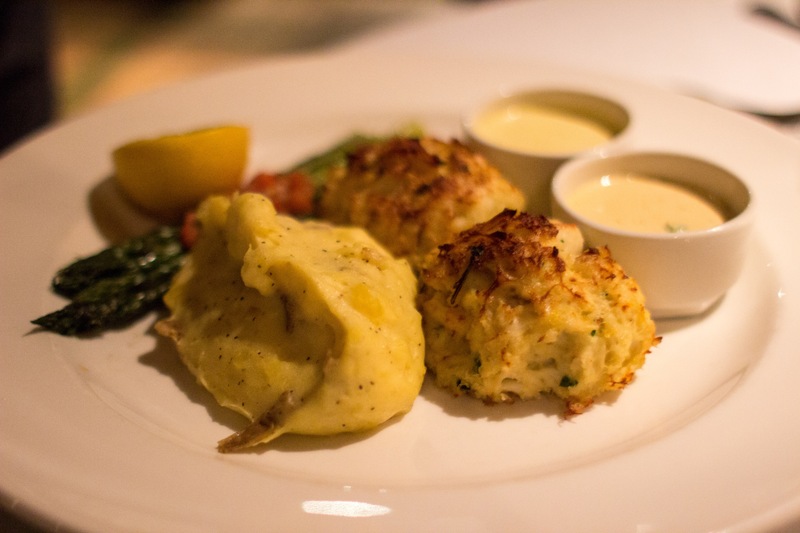 But I am as terrible at updating this blog as Devon is amaze-balls with their restaurant week menu. Maybe it’s a maturing palate but I can’t believe I used to love Restaurant Weeks as a freshman. However, the last few semesters have disappointed me. Alma de Cuba. Lacroix. Zama. Don’t get me wrong — these restaurants can be decent, if not amazing, during “normal” weeks. But throw in a lower price point and a fixed menu and I wonder why they bother at all. Thankfully, Devon gives me with hope — some Restaurant Weeks can be good, even if you’re a jaded second semester senior. The lobster bisque was amazing — velvety texture, slight tang on the tongue, rich flavor, aromatic lobster bits simmered in some sherry. I fell in love. So did the rest of my tablemates, actually. I tried stealing my boyfriend’s but he wouldn’t let me have any pushed his bowl far, far away after I had one spoon too many. 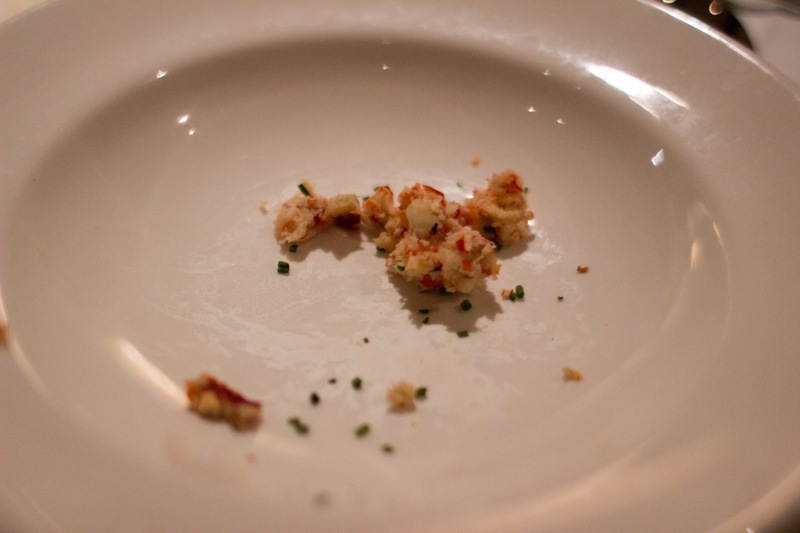 These were great the first few bites — fluffy, distinct crab taste… But after a while I got a little bored chewing, you know? 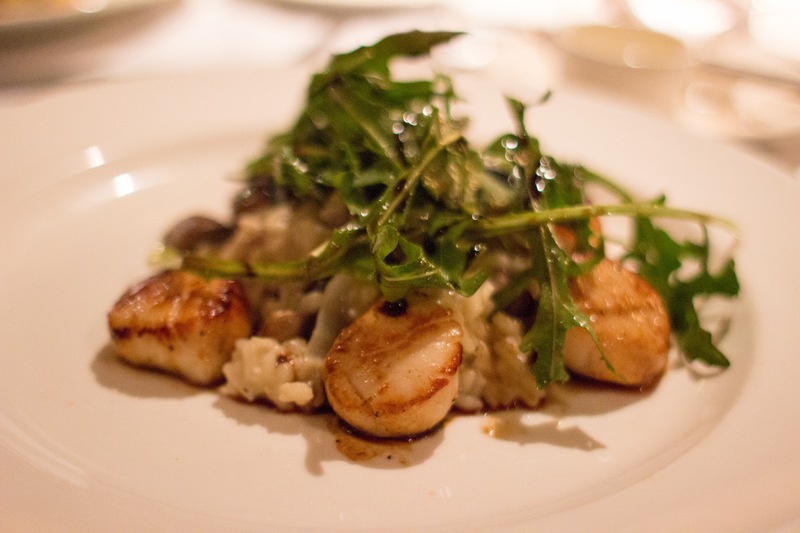 Also I was distracted by my seared Georges Bank scallops. Plump, ample, juicy meat (generous portion of 6 scallops too! ), served on a bed of creamy mushroom risotto. Heaven. 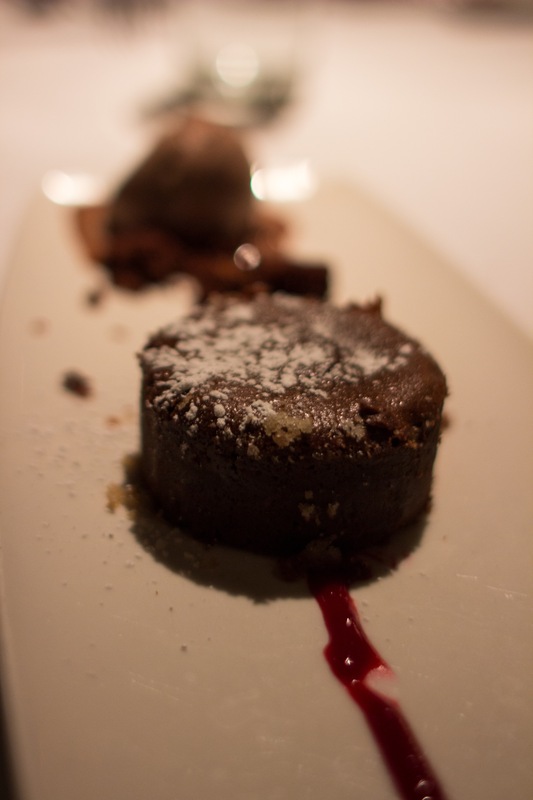 As if I hadn’t been spoiled enough, the chocolate lava cake was fantastic. Warm, creamy center — mmm. I need to bake this sometime soon! 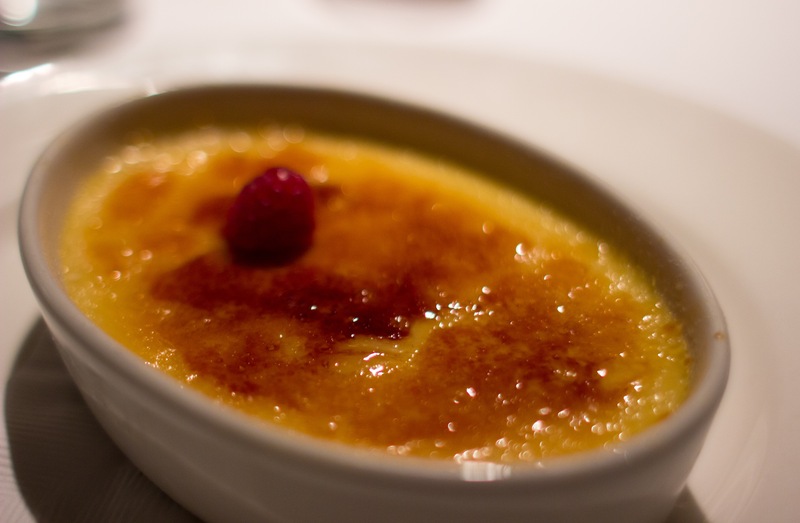 Can’t say the same for the creme brulee — a little too cloying, a tad too sweet — but honestly, by this time I was so sated I wasn’t gonna complain. A word on service + general atmosphere: we went during Restaurant Week, and the large restaurant was operating at almost max capacity. Still, our server was a lovely attentive lady. Desserts however did get held up — in part because there was a mix-up in the kitchen, in part because, well, lava cakes take a while to bake. I think it’s a small price to pay considering how expensive Devon can get without the prix fixe — a la carte entrees range from $27 – 36. So while I’d like to return, my visit back is largely dependent on my mood and wallet.